So in a change to the usual focus on just one golf club per feature, I am starting this collection with the beautiful country (and city) of Singapore. There are a few of the smaller islands including Sentosa, Palau, Ubin, Palua Semakau, Sisters island plus few more. All these islands can all be reached from the mainland by boat or ferry. Golf has had a big influence in Singapore for over one hundred years starting with the founding of the Singapore Golf Club on the 17th of June 1891, and many clubs were formed shortly after. Singapore Island is approx. 721sq kilometres and whilst land is at a premium. The City now has 19 golf courses, including some of the most beautiful and interesting courses you could wish to play. Most of these golf courses are approx. just around half an hour’s drive from one another. The changing face of golf in Singapore could affect other golf clubs in towns & cities around the world too. With a population of just under six and a half million people, there are approx only 36k golfers in the country which is less than 1% of the population. 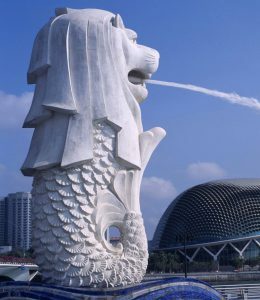 This beautiful city of Singapore is a bustling & exciting city to live in. Unfortunately the Jurong Country Club which was founded in the early 70s was the first to close its doors on 31st of December 2016. Alas, with over 40 years of history and fond memories, this beautiful Country Club was renowned for its hospitality and friendliness to all who came to play golf there. The Raffles Country Club which only opened in 1988 and was one of Singapore’s oldest clubs, closed on 31 July 2018 soon due to the new High-Speed rail link project between Singapore and Kuala Lumpur. This project has seen the acquisition of the entire Raffles Country Club. However, I am glad to say that the Famous Raffles Hotel which was established in 1887 by Armenian Hoteliers, the Sarkies Brothers, and named after Sir Thomas Stamford Raffles the founder of Singapore is still operating. New refurbished, the hotel will reopen sometime in 2019 after major renovations, needless to say, you will still be able to enjoy the famous “Singapore Sling” which is widely regarded as the national drink of the country. The drink was created by bartender Ngiam Tong Boon in 1915, and I must admit I had the pleasure of indulging myself with one in 2011 and most enjoyable it was. Rumours have it that by 2021 The Keppel Golf club with over 100 years of golfing history may also be gone. But with other golf clubs like The Beautiful Tanah Merah Country Club and The Singapore Golf & Country Club also due to lose some of their prime lands, its a tough time for golf in Singapore. It is sad to say that both time and people’s attitudes are changing. Some of the people are no longer in favour of the sport being played by an exclusive group, using so much land. And sadly, while I am sorry to see the closure of these wonderful golf courses, I fully understand the reason why it had to happen. There are still quite a good number of beautiful & prestigious golf courses open for business in Singapore though. These include Sentosa Islands Serapong Course, which was ranked at 79th among the World’s greatest golf courses by Golf Digest 2018. There is also The Singapore Island golf clubs “New Course”, The Laguna Nationals “Masters” & “Championships” courses. 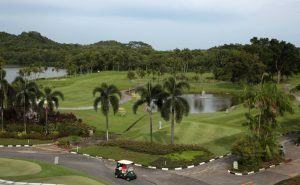 The golf course – I was going to feature in this article – The Changi Golf Course with plenty of its own history is only 5 kilometres from the infamous Changi Prison. The institution still remains open today and would be well known to many allied soldiers, but that will require a whole new article! I hate to say it but Its “Bye Bye Birdie” from me and sorry to say from many of these golf courses. Share the post "Golf in The City: Golf Singapore…"